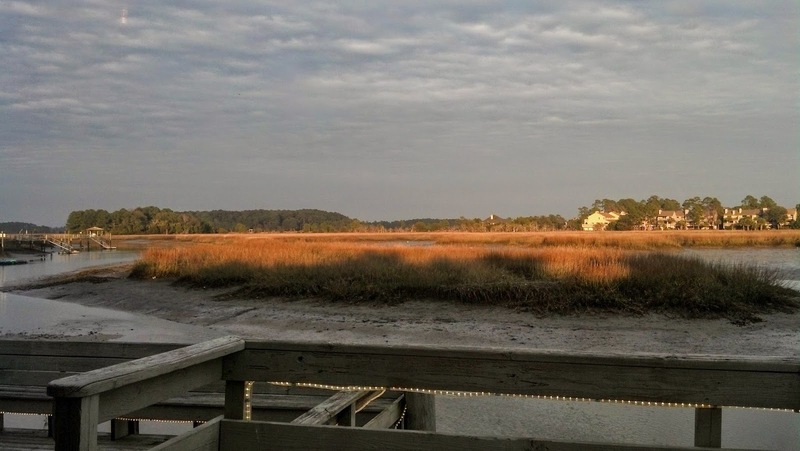 Back in January, while we were staying in Hardeeville, SC which is just north of Savannah, we took advantage of running our errands in Savannah and enjoying it's Southern charm. We also had dinner one evening at one of the premier seafood restaurants in that city - Pearl's Saltwater Grille. 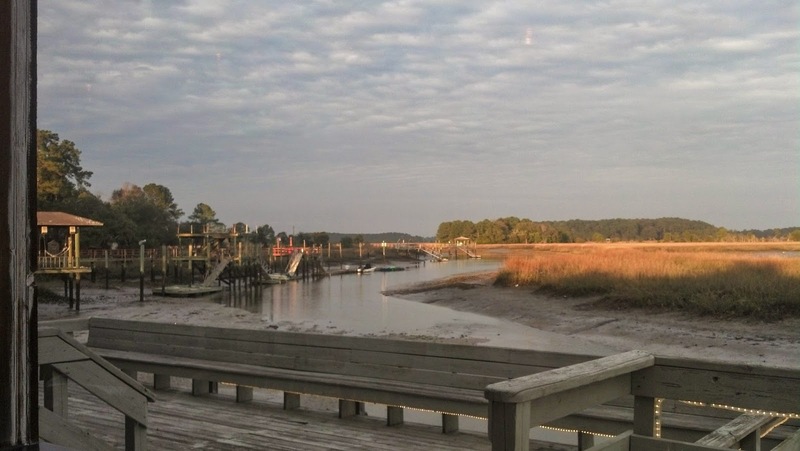 Pearl's sits on the banks of a saltwater estuary with a panoramic view the salt marshes. The sun was setting behind us, a couple of pelicans were taking advantage of the in-coming tide to provide their evening meal and provided our entertainment. Our food was great, too.